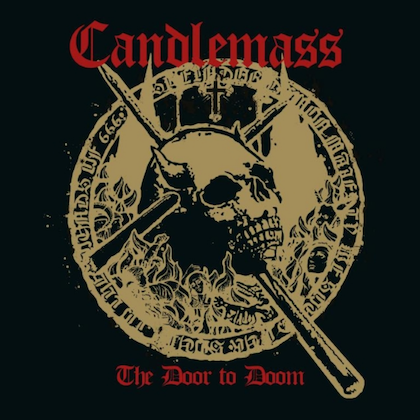 CANDLEMASS is one of the most important bands in the history of doom metal. The Swedish group is indisputably a torchbearer, even more particularly with regard to its role in establishing the "epic doom" styling. Spurring excitement amongst the fanbase of a band that's been running strong three decades is quite the challenge, to say the least. However, a couple of points prove to be salient, newsworthy and intriguing from the onset and ahead of the promotional cycle of the group's twelfth studio album: "The Door to Doom". First and foremost, what's past is prologue as the man responsible for the iconic vocal performance on CANDLEMASS's monstrous 1986 debut, "Epicus Doomicus Metallicus", has returned to the fold. Johan Längqvist was technically a "guest vocalist" during that era, but as of last year, and now with "The Door to Doom", Längqvist has officially become CANDLEMASS's singer, suggesting that the relationship will be ongoing. His voice is just as powerful as it was on the band's debut, though more mature and appropriately employed towards the needs of each song. Secondly, fans have reason to rejoice about the new album simply for the fact that the godfather of heavy metal, Tony Iommi himself, contributed a solo to the track "Astorolus - The Great Octopus". In stark contrast to the manner in which some "stars" are enlisted exclusively for marketing purposes, Iommi's involvement makes sense. He agreed to contribute because he respected that CANDLEMASS has always acknowledged and appreciated BLACK SABBATH's influence upon its work. And, most importantly, he simply liked the song. For Leif Edling—CANDLEMASS's driving force, primary songwriter, founding member and bassist—Iommi's involvement is incredibly meaningful. "For me personally this is a dream come true. Tony Iommi has always been my hero and guiding light when it comes to heavy music, so to hear that he likes the song and also would like to play on it, gave me chills down the spine," Edling said via a press release. "Tony Iommi is and will always be God!" Iommi's solo, not surprisingly, hits the mark and makes quite an impact. 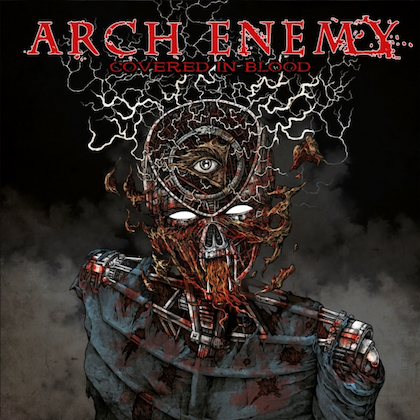 It initially exudes an overt blues rock quality, obviously a root element of his sound, before morphing into his more characteristic twisted heavy metal approach. However, while it's more than simply anecdotal, Iommi's solo is a brief contribution that can't carry the weight of the album. Längqvist's aforementioned, soaring pipes work in tandem with the gargantuan, evil riffs, but they essentially steal the show, in terms of individual performance. The more over-the-top aspects of epic doom are dialed back on "The Door to Doom". Instead, the sparser presence of this quality proves to be more significant when it comes to the forefront as it does, for instance, when things come to a head during the chorus of "Death's Wheel". The album's only weak link is the acoustic element that is perfunctory at best but essentially lackluster. "Under the Ocean" begins with this kind of subdued approach before bursting with the kind of energy that so clearly represents CANDLEMASS's beauty and essence. There is something instantly gripping and captivating about the songs throughout. "The Door to Doom" finds the Swedish band in fine form, and with the reintroduction of Längqvist, it sounds as though the legendary band has at least another decade in it if it so chooses.